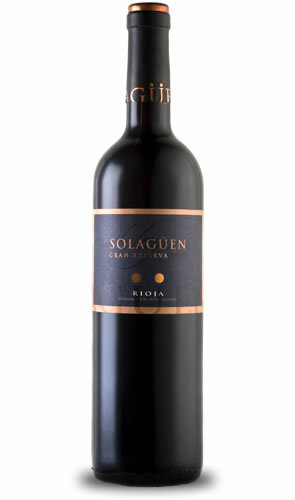 Solagüen Gran Reserva 2001 Wine - D.O. Ca (Qualified Designation of Origin). L&P Global. Controlled fermentation at 26 ºC followed by 24 months in oak casks and a minimum of 36 months in the bottle. With a dense centre and a clean, dark cherry colour,its edges are topped off with a brownish colour. The smell evokes very ripe wild berries, honey and chocolate liquor, with a very well-integrated aroma of the oak cask. Serve between 17 ºC/ 18 °C. Ideal for accompanying meat stews, roast lamb, chicken and cold meats.